What’s the worst part of going on a diet? Missing out on the yummy fried chicken from KFC, the burgers and the potato fries you get with it or is the samosa? Well, what if I told you there was a way to make them healthy? No, I am not giving you crazy recipes but rather telling you about an appliance that has revolutionized fried food by reducing the oil used to minimal. 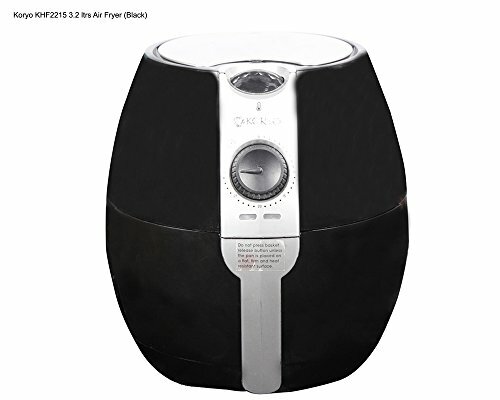 Yes, that’s an Air Fryer we are talking about. And below are some of the best air fryers in India that can help you keep up with your diet or simply eat healthy without giving up on the fried stuff you so love. 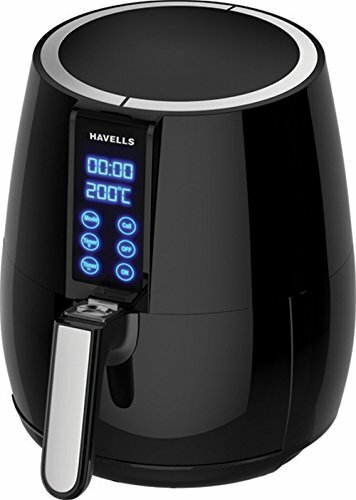 Havells Prolife Digi: Are you looking for an air fryer for a family of 5-6 or more that is easy to use, clean, and durable? The 4-liter capacity of the Prolife means it perfectly fits the bill. Plus, the digital controls for temperature and timer give you the power to cook the way you and your family love to eat your meats and vegetables. Koryo KHF2215: While not the most hi-tech or durable of fryers, the Koryo KHF2215 comes with all the basic elements you would need in an air fryer like adjustable temperature and timer, decent capacity, dishwasher-safe parts etc. everything for less than 5000. Trust me, it is a bargain. 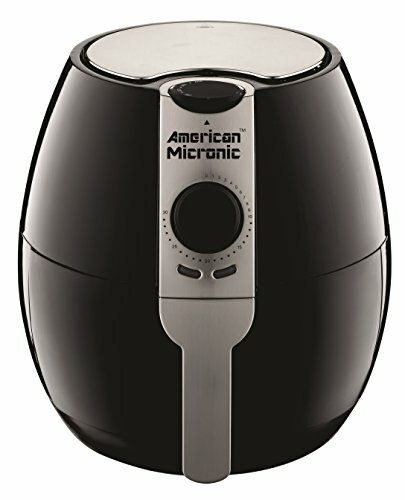 If you have a family of 4-6 members and want an air fryer that can handle all the frying, roasting etc. in one shot, the Havells Prolife Digi is tailor-made for you. That is because it comes with a 4-liter capacity. Plus, to help you cook multiple items on the go at the very same time, the fryer also features a separator (now you’ll finally save time for that favorite TV Series you miss out on every day). The integrated timer means you need not be on guard while the cooking is happening. And if you’re the forgetful types, the fryer comes with an auto-shut feature that will save you a few extra bucks on the electricity bill. Any good chef knows that the temperature is king when cooking. This is why the Prolife allows you to adjust the temperature with the press of a button (trust me, nobody likes a dry overcooked chicken). And on days you do not know what to cook, you will find the free recipe book to be quite handy. Also, don’t you just hate it when the kitchen stinks of the fried oil and food? Well, not anymore. The unique air filtration system of the Prolife clears any odors. Lastly, let’s come down to the most important part, the oil. Whether your frying, roasting, baking or grill (yes, it can do it all), with the Rapid Air Tech, you can do it all with 85% less oil in half the time. And yes, you will still have the same crispiness that deep frying provides. The real drawback of the Prolife is that low power i.e. 1230-watt which means cooking time is a little higher than with other models. But that aside, if you want to take the first step towards a healthy future, its hands down the best air fryer in India. If you’re looking for something mid-range and of lower capacity for a family of 2-4, this American Micronic is the ideal fit. That’s because it comes with a 3.5-liter capacity and will cost you less than 6.5k (sounds like quite a deal). One of its stand out feature is the 1500-watts power which means it works faster than most air fryers on the list. French fries in under 10 minutes, now that is interesting. And to ensure those fries, chicken stripes or even the cake is cooked/baked to perfection, the fryer has a timer and an adjustable temperature up to 200-degrees. Also, the Turbo Tunnel Fresh Air Technology eliminates any bad odor that deep frying fails to, keeping your kitchen smelling just as fresh as it was when you first entered. Lastly, since the cooking basket is non-stick you will not end up with food stuck at the bottom and since it is dishwasher safe, cleaning is a breeze. On the downside, the fryer lacks a food separator so cooking multiple items won’t be possible. You also do not get a recipe book. Are you on a tight budget? Available for less than Rs.5000, the Koryo air fryer is a no fancy-frill fryer that comes with all the basic features to get the job done efficiently. The fryer is large enough to cook for a family of 2-4 due to its 3.2-liter capacity. And it does so in quick-time as well as it can generate a power of 1425 watts. You also want your air fryer to be easy to clean and that is just what the Korya is since most of its parts are dishwasher safe. Now to the more serious aspect, the cooking. To make your grilled, fried or even baked dishes fingerling good, the fryer features a 30-minute timer with auto-shutoff and adjustable temperature (80-20 degrees). Both of these can be easily adjusted via separate dials. To ensure even heat spread that will enable around cooking and 80% less oil use, the Korya uses high-speed air circulation. Plus, there are also light and sound indications to remind you that your food on the grill is done. The Koryo lacks the durability of the more expensive models offer and may need repairs after 1-2 years. Also, it does not have a digital control nor any pre-set modes so you’d want to double check on the temperature and timer once set. But even with the cons, it is the best air fryer in India for budget buyers due to its efficient cooking capabilities and lower oil usage. If you are looking for household appliances, Kenstar is a brand hard to not come by. 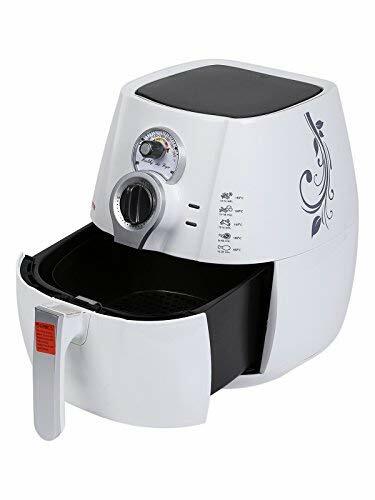 After all, some of the most durable and powerful appliances are Kenstar products just like their oxy fryer (just a fancy name Kenstar gave its air fryer). But there’s more to it than the name. The fryer is backed by a 1500-watt heating element capable of getting the job done in half the time than frying or low powered fryers. Don’t have an oven or grill? No problem, the versatility, attachments, and power make the oxy fryer a versatile united that roast, bake, grill etc. And all that in large quantities as well due to its 3-liter capacity. With all the cooking you would think the kitchen will turn smelly, isn’t it? Well, actually not. This is because of the efficient air vent that throws the bad air. The handle on top is a welcome bonus that makes moving the fryer around a cakewalk. Also, the 30-minute timer and temperature can be controlled via circular knobs so you have the power to cook everything just the way you like it. The air fryer will cost you around Rs. 9000-10000 which is quite expensive. Plus, it features no digital display. But if Kenstar is a brand you trust, the Aster oxy fryer has both the power and durability you would expect from a top-notch air fryer. The Philips Viva is another powered-packed air fryer than knows how to get the job done in minutes using the Rapid Air Technology backed by the 1425-watt heating element. Apart from cooking, you can also save tons of cleaning time as the food basket and drawers are all dishwasher-safe (you almost have to do nothing). And the fryer takes care of the odor as well. It can grill, roast and even bake to perfection with controls available for both the temperature and the timer. The temperature can be set from 80-200 degrees using the dial and once the timer is out, the fryer auto shuts-down to prevent burning or drying out meats. Lastly, it comes with one of the best recipe books we have seen. So whether you have a party or just want to surprise your family with something special, the Viva Air Fryer has got all ends covered up. 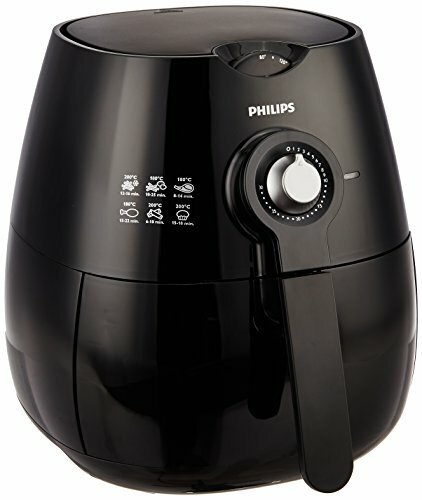 The Philips HD9220 Fryer too is on the expensive side and also has a smaller cooking capacity i.e. 2.2 liters. But that aside, it comes with the trust and build-quality of Philips making it another excellent buy (a buy you won’t regret) especially if you are looking for something compact and easy to clean. Another one of our excellent budget picks, the Bright Flame Air Fryer offers excellent features and capacity at less than Rs5000. The 3.2-liter cooking rack is big enough to grill or roast your favorite meat or veggies. And in case your oven ditches you, power up the air fryer for an oven-like fluffy cake. All of this is made possible by the 1250-watt motor and the 5 coil heating element which ensures quick and even heating for all-around even cooking. Lastly, you also can control temperature and timer using dials provided in the front so you never end up with burnt food. Plus, alongside that is a handy guide for the temperature needed to cook various meats and veggies (there sure is no going wrong now). The motor is not as powerful as some of the other picks so cooking will be comparatively slow. Also, it isn’t the most durable model on the list so you would want to use it with care. 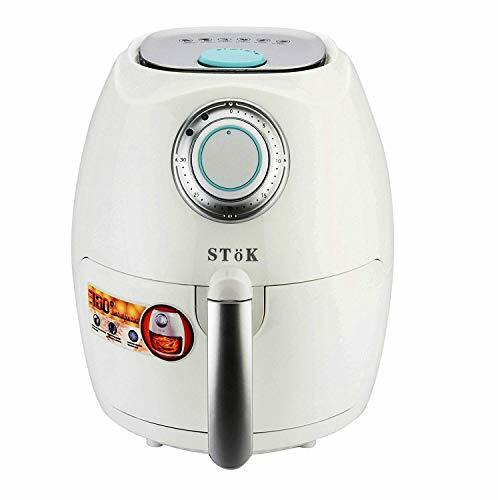 Last but not the least on the least is one of the most eye-catching air fryers you will come across, the STok Air Fryer with its cherry red color but that’s not all. With the rapid air technology and the 1350-watt motor, the fryer will grill, roast or even bake anything you want (cakes, or meat, it has got you covered). As with some of the other fryers on the list, this one too has dials that help you adjust both the temperature and 30-minute timer with a sound notification at the end to keep you updated. To wrap it up, one of the most-liked things about the fryer is the ease in cleaning it up as the frying basket and tray are all dishwasher safe. And did I mention about the free additional grill and recipe book you get with the purchase? You probably do not want to miss out on that. The capacity of the fryer is just 2.6-liter which limits its use and neither does it have digital controls or display. Also, you really would have to have an acquired taste to buy a cherry red air fryer (could get you a few compliments though). The size of the air fryer will come down to the number of members in your family. If you have 4+ members then you would want an air fryer of 4-litre or more cooking capacity. For standard families i.e. 3-4 members, a capacity of 3-3.2 liters is aplenty. And if you’re a bachelor or couple wanting to go on a healthy eating spree, a 2-2.2-liter air fryer should serve you well and will be cost-effective too. Remember, the large the fryer, the more it is likely to cost. The wattage defines the power of an air fryer. The higher the wattage the faster will be the cooking. The best air fryers come with a wattage of around 1500 while it may vary between 1000-1300 watts with some of the cheaper ones which are still quicker considering the time deep frying can take. Also, make sure the power outlet in your kitchen can support that wattage and that the power cord is long enough so you can conveniently place the fryer. When it comes to cooking it comes down to temperature. Temperature can make or break any dish whether your baking, roasting or grilling and thus it is or utmost important you have full control over it. Digital air fryers give you the most accurate of temperature and are easy to adjust whereas the traditional ones like the Koryo come with circular dials. The temperature in air fryers can be varied between 80-200 degree Celsius. When you’re deep frying you have to stand on guard the whole time to ensure the food doesn’t burn, isn’t it? Well, that’s why air fryers come with a timer function so you can set and forget it. And once the timer ends, these fryers usually sound a warning and then automatically shut-off to prevent further cooking. The job of the food separator is to save you cooking time by diving the basket into 2 parts so you can cook multiple items simultaneously. Not all air fryers come with separators so you would want to check on it before making the purchase. You don’t want to spend hours rubbing and scrubbing the fryer and that is exactly how it is. The fryer basket is coated with non-stick material which prevents food and oil from sticking to it making cleaning easy. Also, most of the high-end fryers have parts that are dishwasher-safe which makes the otherwise tedious task even simpler. As for the body, a wipe down with a damp cloth should get the job done. Most of the top air fryers in India will cost you in the range of 6k-10k. These fryers will have durability, functionality and also the capacity to grill, roast or even bake yummy food for a family of 4-5 or even more. If you’re looking for something on the cheap, then Koryo, Bright Flame are some of the brands to consider. As far as warranty is concerned almost every fryer will come with 1-2-year warranty depending on the brand. Another awesome benefit of going for the top models and brands is that they provide you with a step-by-step recipe guide and then there is obviously the user manual which is a must. The recipe book will contain desserts, fries, side dishes etc. (everything that can be cooked in an air fryer). While the user manual will contain instructions on how to set the timer, adjust the temperature and also details about the various attachments and safety tips to follow. 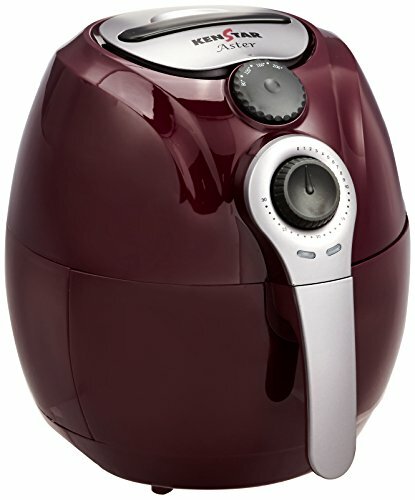 What is the cost of air fryer? If you are looking for something cheaper, you can also get then for Rs3500-5000 i.e. between $50-$80 just like the Koryo KHF2215. Are air fryers really healthy? Absolutely, compared to deep drying, air fryers are super healthy which is mainly because of the lower amount of vegetable oil used in the cooking by up to 80% as stated by most manufacturers. The oil contains trans fat and apart from that, it can also lead to Acrylamide, a carcinogen capable of causing cancer. Do you put oil in air fryer? Not exactly like you would in a frying pan but yes, coating the food with oil at the start and then every 4-5 minutes makes the most extra crunchy and crispy. Plus, it will prevent the food from drying out as well. Can air fryer bake cake? From cakes, brownies to even muffins and cupcakes, yes an air fryer can bake just as efficiently as an oven. That is because of the air circulation in the fryer which provides even heating in all parts providing you with a fluffy cake that’s not dried out. Do air fryers cook faster? Yes, air fryers are way faster than deep frying. This is because of the strong heating element which means they can go from room temperature to up to 200-degrees in a matter of just 2-3 minutes. Like I mentioned above, air fryers do not result in the development of Acrylamide in the body and also use 70%-80% less trans fat as compared to deep frying which makes them cancer-free. In fact, they are a healthier choice and help prevent it. Can you put aluminum foil in the air fryer? An aluminum foil should do not harm to your food or the air fryer. But make sure you do not cover the bottom part of the fryer where the grease gets collected as it will disrupt airflow resulting in an uneven cook. You also do not want to put in either butter paper or aluminum foil without any food in it as it can catch fire due to overheating. Being hearty and healthy is at the back of everybody’s mind but food has a certain way of speaking to us as nothing else can. After all, you live only once, why miss on all the yummy stuff, isn’t it? Well, with an air fryer you can enjoy it without sacrificing your diet. They are safe, easy to use, cost-effective etc. which makes them ideal for the heavy fried India food like samosas and so on.